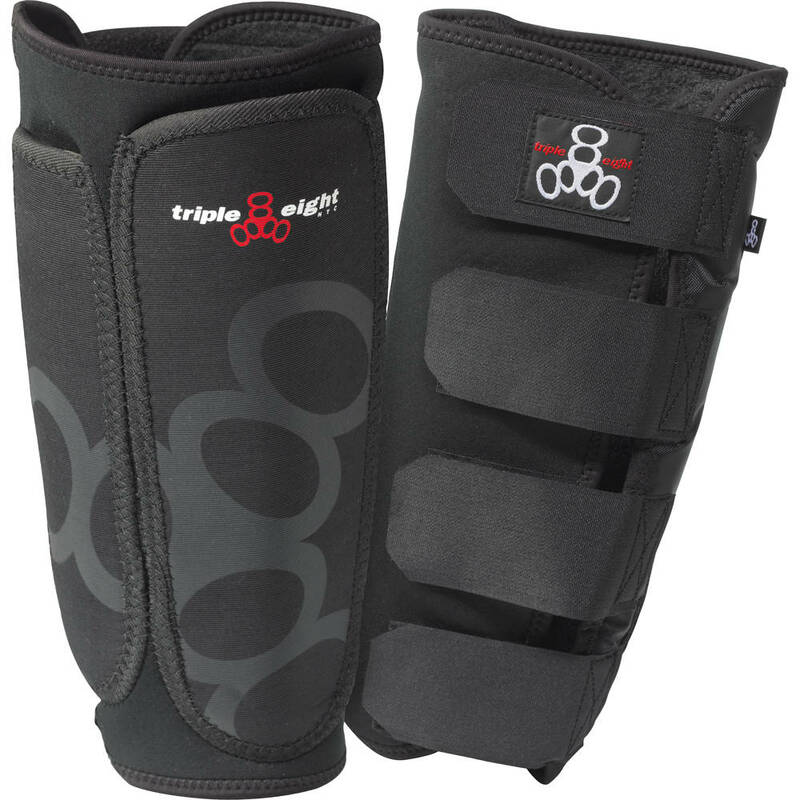 The Exoskin Shin & Exoskin Guard protection from Triple Eight cover you from below the knees. It has a high density front and side and this protection is thin so you can wear it under pants. Protection for various sports like BMX and mountain biking. Made of perforated neoprene with inner lining for breathability. The high density area is made of moulded PE and shock absorbing EVA foam makes additional protection beneath the PE. 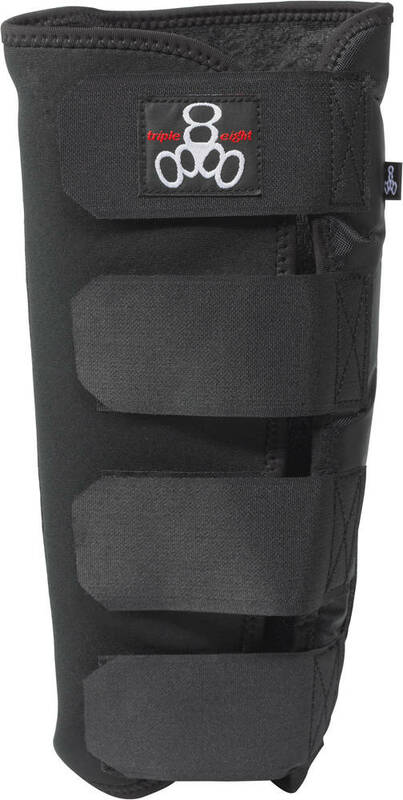 This protection has four velcro straps to create secure and good fit.